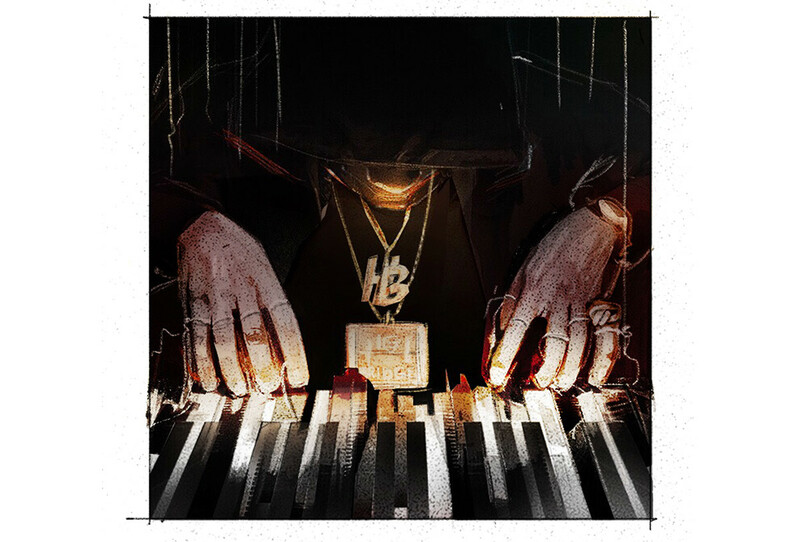 Art Direction: Tight shot of A Boogie playing the piano with his chains hanging over the keys. The keys are made of urban/city building and skyscrapers. Like a skyline lying down. There are marionette strings to his fingers. All but one has been broken away from. The one still attached raises that finger above the keys. The keys will be seen like above but instead of their typical rectagular shape they will take on the contour of the skyline. A Boogie is from High Bridge New York so the buildings should have a New York feel but not overtly touristy. Was thinking that the lighting works simiarly to the 'Pulp Fiction' breifcase where it illuminates everything in that warm gold glow. Overall the tones for the first one should be in this warm golden glow with reds and warm tones. 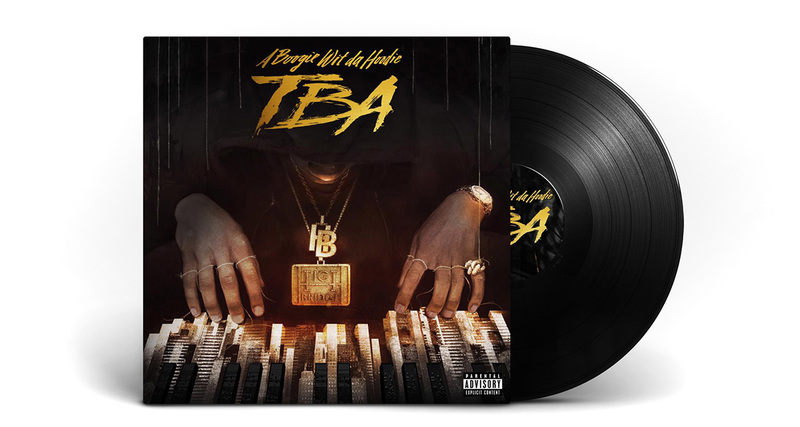 Final Cover Art for release 'TBA' Boogie wit da Hoodie by Atlantic Records - an Rap & Hip-Hop music label. 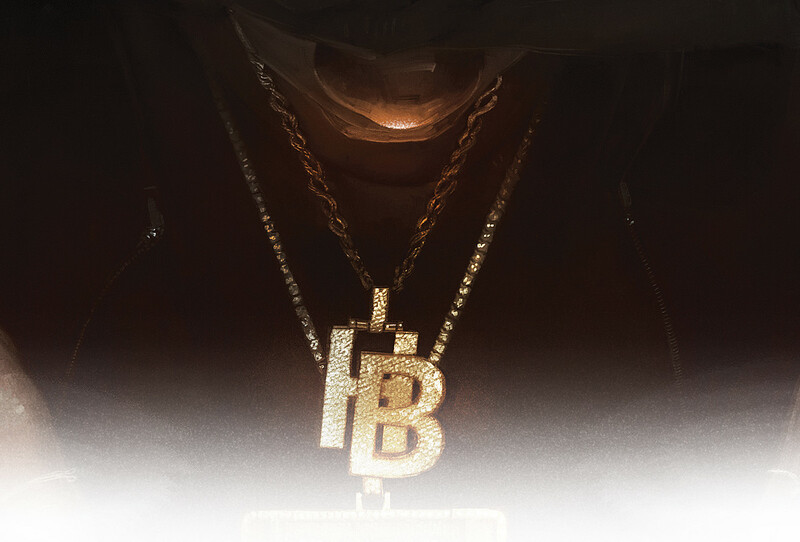 In mere days, Bronx native A Boogie Wit Da Hoodie went from a local sensation to seeing songs he uploads to Soundcloud cross the million-listen mark. TBA, a brief six-song EP, distills his appeal into a tight 20 minutes. Here, the rapper operates in two modes: the melodic pop of So Far Gone-era Drake ("Ransom") and tender-hearted near-R&B love songs ("Baecation"). His open, tell-all emotional state gives TBA a strong backbone that other hook-heavy rappers tend to lack. On "Timeless" he raps, "If I ever said I loved you/I was lying ... 'cause I could never put nothing over grinding." Fans, however, will definitely want to believe his romantic side. D.T. 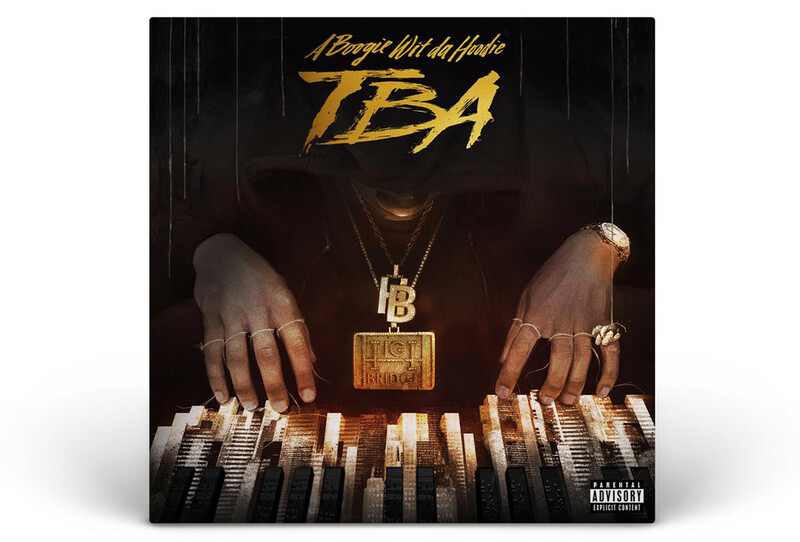 Cover Art for release 'TBA' Boogie wit da Hoodie by Atlantic Records - an Rap & Hip-Hop music label.